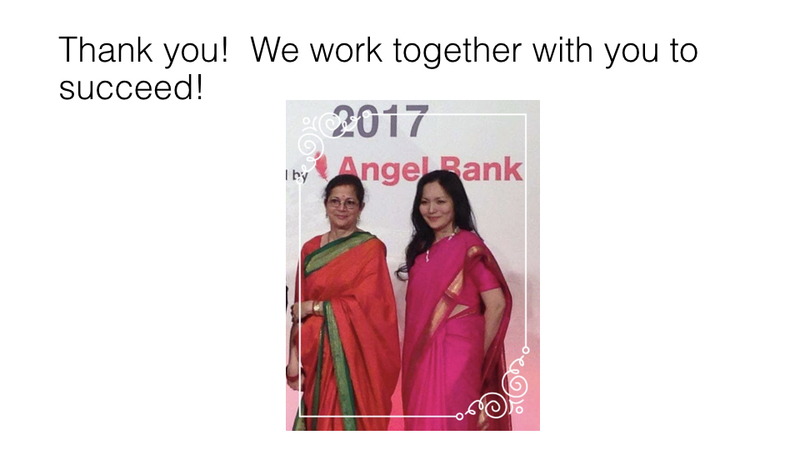 The Reason to choose ANGEL BANK as your consultant. 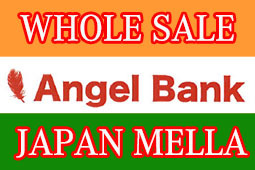 Why ANGEL BANK can deliver and what's so different? 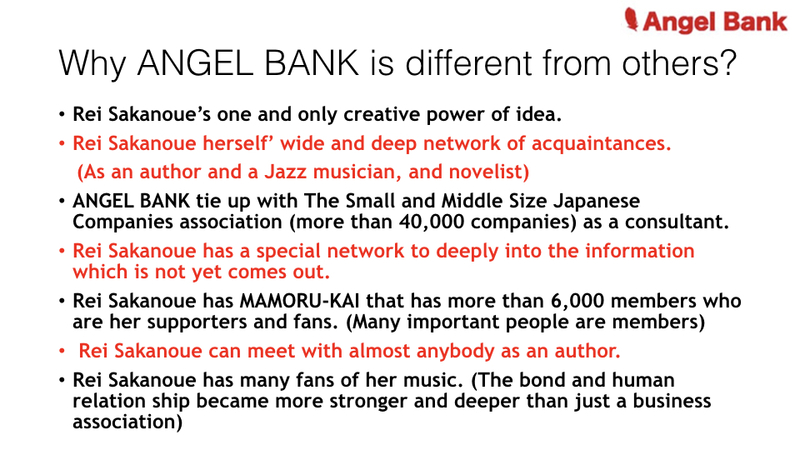 ★What is so unique and special about ANGEL BANK than many others? 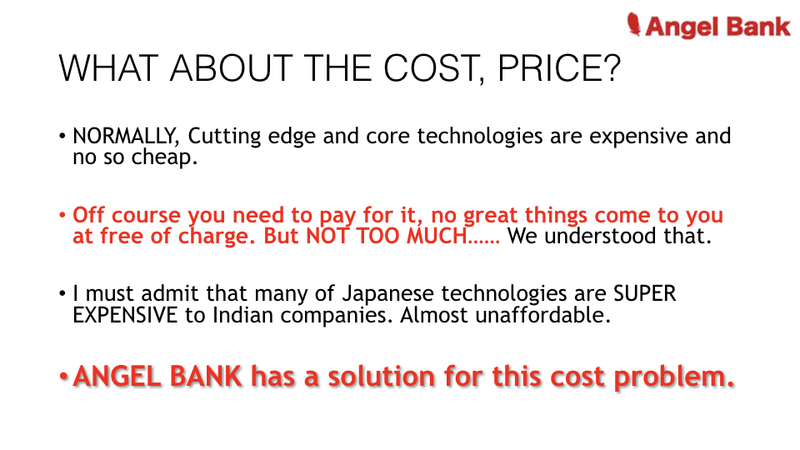 at THE PRICE AS REASONABLE AS POSSIBLE!!! 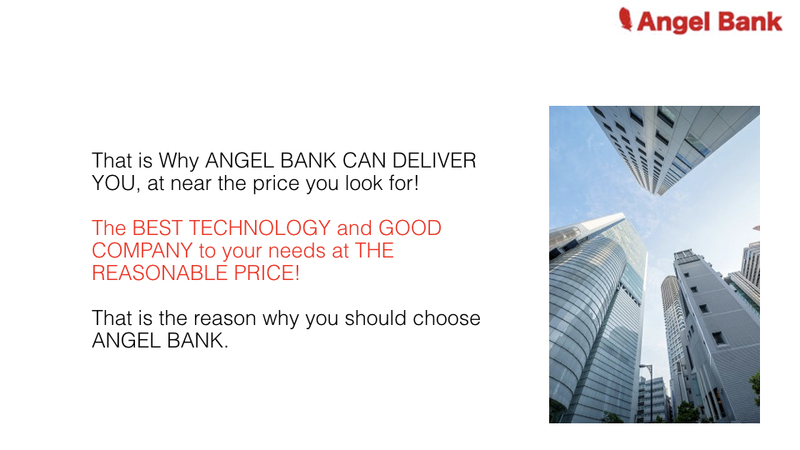 ★Why the reason you should choose ANGEL BANK as your consultant? 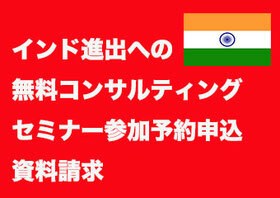 The wide range human network in many fields of business in mostly Japan and India. Rei Sakanoue has many her fans and her group that holds many important people. Very much into the core and deep information before it comes out. Tie up with the small- middle size companies association of Japan. 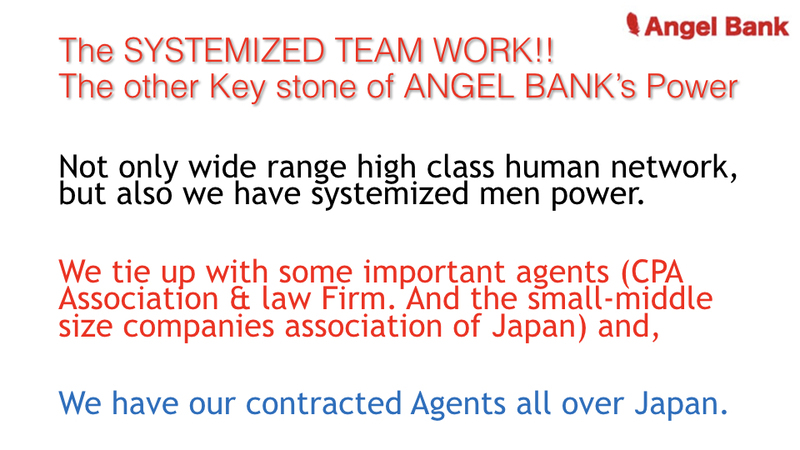 Angel Bank’s systemized team work with other professionals above-mentioned. Rei Sakanoue is an author and very much into the deep underground information. Non-fiction type of Author’s research is truly amazing and specific! Rei Sakanoue as an Author is into the information even before to come out in society. 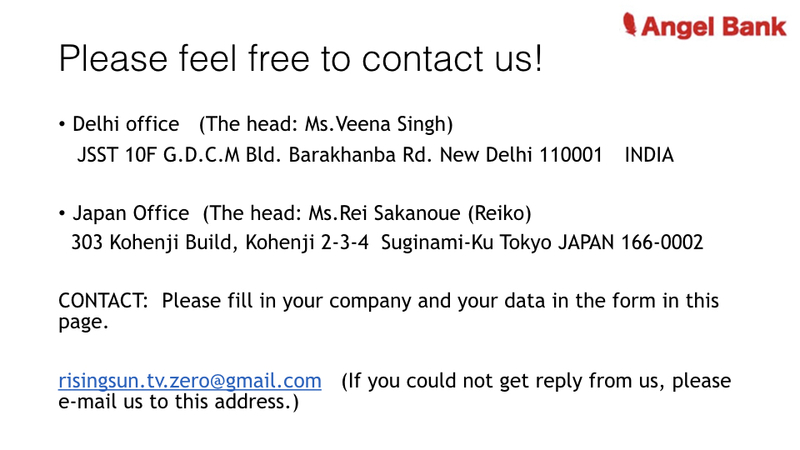 Rei Sakanoue is an Author so that she can meet with almost anybody. 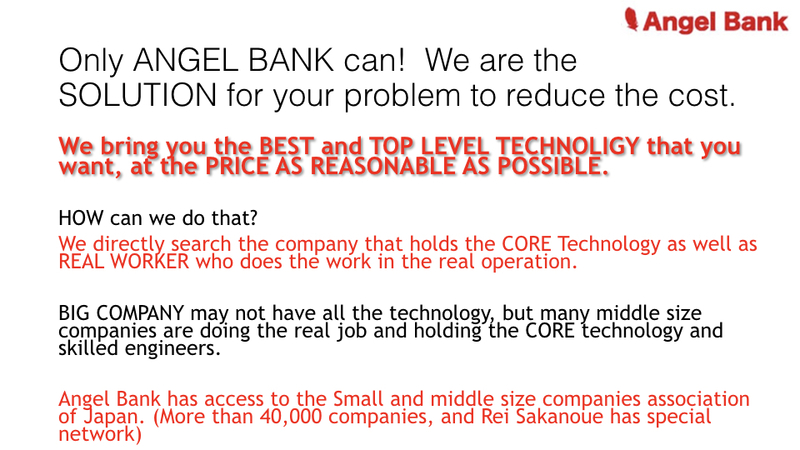 Rei Sakanoue and her group (more than 6000 members all over Japan) itself has many TOP level technologies’ small and middle size companies as well as many important positioned people. 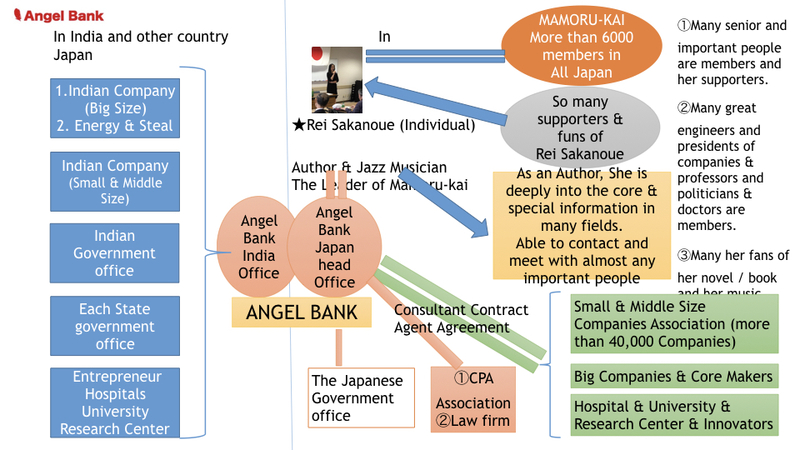 Because of Rei Sakanoue’s way of living and her faith and philosophy, she has many fans and supporters all over Japan and the importance of relationship is deep and very different from any other normal just business men or government officers. So, her fans in all over Japan do what Rei asked. Born in the royal old family and has been watching how the nation of India grew up and changed with her father, Shri Arjun Singh. She has been helping and saving many people’ life and death problem. She always prays for God that he guide her to do what is the right thing to do in God’s eyes, rather than just following after money. She has a dignity and compassion and loves India so much. She has a class and virtures and her back ground in India is remarkable.